/ Modified aug 27, 2018 12:51 p.m.
Says hunter-gatherers predicted effects of grassland fires to lure animals for food. Bison graze on the Blackfeet Reservation in northern Montana, where Maria Nieves Zedeño has conducted research in collaboration with the tribe. 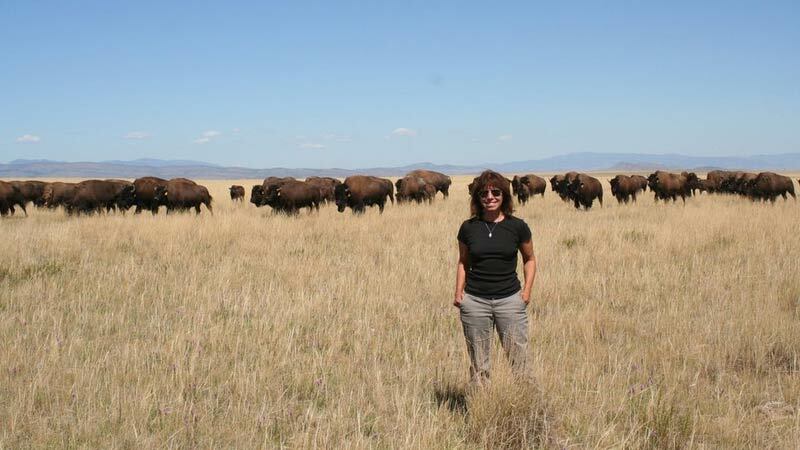 A University of Arizona anthropologist is studying how Native Americans used climate data to hunt bison in the late-1800s. Maria Nieves Zedeño found ancient communities in northern Montana where hunters predicted when and where grassland fires would strike. She said the hunters would take advantage of the fires to create a successful hunter-gatherer environment. "They were able to guide the bison to areas that were recently burned so they could graze in those areas," she said. "Once the bison were grazing in those areas, they would actually proceed to drive them toward a particular killing place." Professor Zedeno says the tribal members tracked wildfire events on the prairie, and made the data part of their ceremonial cycle. Her study is published in Proceedings of the National Academy of Sciences.